Irish authorised investment funds (“Irish Funds”) generally enjoy tax-free gross roll-up, meaning no tax is paid by the fund on its income or gains; instead an exit tax operates whereby investors are taxed on distributions and other realisations on their investment, unless otherwise exempt. The purpose of this tax regime is to provide a vehicle for collective investment that does not give rise to an additional layer of tax. Similar vehicles operate under the laws of other jurisdictions, although the Irish Fund is internationally recognised as best in class. As an investment vehicle that is established under the laws of Ireland and subject to regulation by the Central Bank of Ireland, certain service providers to an Irish Fund must be located in Ireland while others are based in Ireland due to the expertise that Ireland has in servicing and advising Irish Funds, expertise which has built up over the past 25 years. Accordingly, Ireland gains significant employment from the Irish Funds industry. Irish Funds are routinely established in Ireland for the purpose of facilitating investment in non-Irish assets by non-Irish investors, although not exclusively so. For regulatory purposes such Irish Funds can be Undertakings for Collective Investment in Transferable Securities (“UCITS”), Retail Investor Alternative Investment Funds (“RIAIFs”) or Qualifying Investor Alternative Investment Funds (“QIAIFs”). RIAIFs or QIAIFs, as the case may be, can be constituted as an investment company incorporated under Part 24 of the Companies Act 2014 (formerly Part XIII of the Companies Act, 1990) (an “Investment Company”) or as an authorised ICAV within the meaning of the Irish Collective Asset-management Vehicles Act 2015 (an “ICAV”) or as a unit trust scheme within the meaning of the Unit Trusts Act, 1990 (a “Unit Trust”)1. In recent years QIAIFs have been used for the purpose of investment in Irish real estate. While many investors in such QIAIFs that hold Irish real estate are pension funds, including EU and Irish pension funds, there are other international investors too. In relation to this specific asset class, i.e. real estate, it is common internationally for territories to retain taxing rights over related income and gains irrespective of the identity, status or residence of the investor. 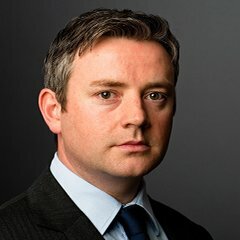 For this reason there has been concern recently regarding leakage from the Irish tax base in connection with income or gains derived from the acquisition, development, holding or disposal of Irish real estate. Accordingly, the Minister recently announced that measures would be taken so as to protect the Irish tax base in relation to Irish real estate. In that regard there has been constructive consultation to achieve a targeted solution that will ensure this objective is achieved; that the tax base relating to Irish real property is protected without collateral damage to any other investment fund. 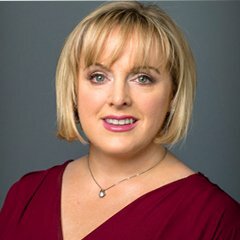 A proposal is now published as part of the Finance Bill, which albeit final in concept will be subject to further consultation and amendment to ensure it operates as intended, is targeted and has no effect on any investor, fund or asset that is not intended to be affected by the proposal. Broadly, IREFs will be QIAIFs or RIAIFs that are constituted as Investment Companies, ICAVs or Unit Trusts or subfunds thereof, as the case may be, where 25% of the value of that Irish Fund or subfund, as the case may be, is derived from Irish real estate assets. Any rental income, dealing or development profits earned by the IREF in connection with Irish real estate assets will be included in the calculation of the profits of the IREF business. Capital gains in connection with such assets, but only where such assets are held for less than 5 years, will also be included in the calculation of profits of the IREF business. Where an IREF makes a dividend payment or where it redeems units, to the extent the amount is attributable to the profits of the IREF business, investors will be subject to a withholding tax of 20% unless they are exempt investors for this purpose (see below). This is unless exit tax is otherwise deducted from the payment (e.g. where investors are Irish taxable investors). Exempt investors for this purpose will include Irish pension fund investors (whether a direct or indirect investor), another investment undertaking, a life assurance fund or the EEA equivalent of any of the foregoing. The new regime will apply to accounting periods beginning on or after 1 January 2017. Constructive consultation is on-going so as to ensure that the new regime operates as intended and has no impact for any investor, fund or asset that is not a target of the proposal.